Not many of us have visited Rwanda, nor do we think we have a reason to. However, former U.S. President Clinton, First Lady Laura Bush, Microsoft chairman Bill Gates, U2's lead singer Bono all have. In addition, they also expressed a desire to help the tiny African country best known for the 1994 genocide that killed 800,000 of its people. Some might argue that there is interest in Rwanda because countries like the United States did little to prevent the genocide more than a decade ago and now feel guilty. But let's face it: guilt doesn't take things very far. I trust the real reason has probably more to do with Paul Kagame, the 49-year-old president of Rwanda, who has been quietly building a new reputation of a business-friendly nation that wants to become a model of private sector development in Africa. And the keyword is Fair Trade. My wonderful colleague from Eco Positive (www.eco-positive.co.uk) in London had the privilege to work on a bio-diesel plantation project with Kagame. The rail-thin, bespectacled former guerilla fighter, who has led Rwanda since 2000, lately has become an unlikely favorite of American CEOs. Kagame managed to sell coffee to Starbucks' chief executive, Jim Donald, who praised the US$8-billion-a-year company. In 2006, about a thousand metric tons of fully washed Rwanda coffee was sold into U.S. specialty and gourmet markets at prices averaging US$2.00 per pound. 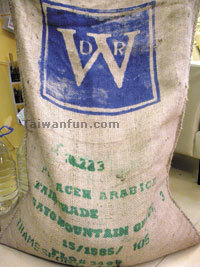 Commodity coffee - the kind that Rwanda used to produce - sells for just 60 to 75 cents a pound. Kagame makes us all believe Rwanda is an extraordinary place that deserves our support and we feel lucky to be a part of its story. The message is so powerful that even Google announced plans to make its free web-based software available in Rwanda. Thanks to Fair Trade, and Kagame's zero-tolerance policy towards corruption, Rwanda may be poor, with GDP of merely $1,500 a year, but she is advancing more quickly than any other African country. It is democratic, peaceful and working hard to heal the terrible wounds caused by the genocide. So what's in the magic formula of Fair Trade? According to our beloved Wikipedia, Fair Trade is an organized social movement and market-based model of international trade which promotes the payment of a fair price as well as acceptance of social and environmental standards in areas related to the production of a wide variety of goods. The movement focuses in particular on exports from developing countries to developed countries, most notably handicrafts, coffee, cocoa, sugar, tea, bananas, honey, cotton, wine, fresh fruit, and so on. 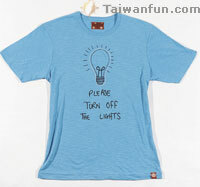 Fair Trade reminds consumers to make conscious choices to put more money into producers and workers' pocket. Their strategic intent is to deliberately work with marginalized producers and workers in order to help them move from a position of vulnerability to security and economic self-sufficiency. It also aims at empowering them to become stakeholders in their own organizations and actively play a wider role in the global arena to achieve greater equity in international trade. Like most developmental efforts, Fair Trade was controversial to begin with and has drawn criticism from both ends of the political spectrum. Some economists and conservative think tanks see Fair Trade as a type of subsidy that impedes growth. 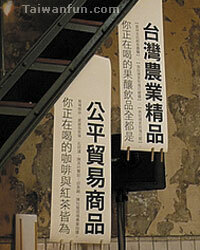 Segments of the left criticize Fair Trade for not adequately challenging the current trading system. 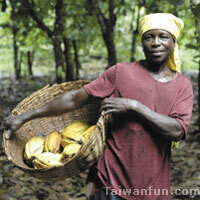 In 2006, Fair Trade certified sales amounted to approximately US$2.3 billion worldwide, a 41% year-on-year increase. While this represents less than one hundredth of a percentage point of world trade in physical merchandise, Fair Trade products generally account for 0.5-5% of all sales in their product categories in Europe and North America. 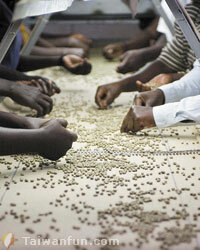 In October 2006, over 1.5 million disadvantaged producers worldwide were directly benefiting from Fair Trade while an additional 5 million benefited from Fair Trade funded infrastructure and community development projects – the machines they use to wash the coffee beans in Rwanda, for instance. According to FINE, an informal association of the four main Fair Trade networks, Fair Trade is a trading partnership, based on dialogue, transparency and respect, which seeks greater equity in international trade. It contributes to sustainable development by offering better trading conditions to, and securing the rights of, marginalized producers and workers - especially in the South. Fair Trade organizations, backed by consumers, are engaged actively in supporting producers, raising awareness, and campaigning for changes in the rules and practice of conventional international trade. You will be forgiven for thinking that Fair Trade and green-friendly goods are only popular among New Age vegetarians and people who sport Che T-shirts. 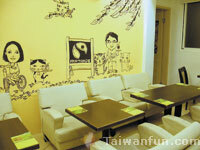 The fact is, Fair Trade has also caught up with lovers of luxury. 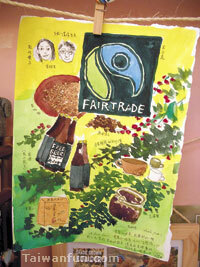 Fair Trade principles are already operating, for example, behind the scenes of the Paris and Milan fashion runway shows. They are just not hanging out a big Fair Trade flag as Starbucks does. On July 6, 2006, the European Parliament unanimously adopted a resolution on Fair Trade, recognizing the benefits achieved by the Fair Trade movement, suggesting the development of an EU-wide policy on Fair Trade, defining criteria that need to be fulfilled under Fair Trade to protect it from abuse, and calling for greater support to Fair Trade. Yes, Fair Trade makes the consumers think and ,therefore, it is even more valuable. But, meanwhile for many Europeans, Fair Trade is just the right thing to do, instead of a special thing to do.